We have assembled a team full of expert C#.NET Developers to deliver high performance business solutions following best-in-class CoE methodologies. Hire the Best C#.NET Developers for your technical requirements and add to your team in a matter of days, not months. 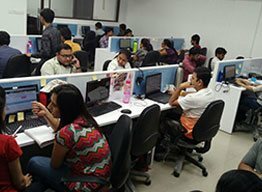 Hire C#.NET Developers from HDI (Hire Developers India) for stellar native, web and mobility solutions. 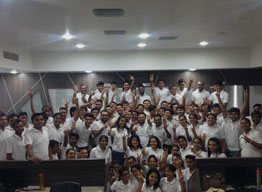 HDI embeds India's most talented C#.NET Developers as full-time teammates, enabling companies like yours to build better products, faster. C#.NET Developers first spend six months on our team – mastering C#.NET tech stack, building internal products, and becoming experts on distributed teamwork – before they're ready to join yours. Our dedicated C#.NET training programs are aligned with Skill India campaign initiatives by the Government of India. Utilizing both simulations and real-world projects, we evaluate C#.NET Developers across 950 data points in 15 categories. The in-depth knowledge gained from months of interaction allows us to quickly match you with the right C#.NET Developers in a way that even highly skilled and experienced C#.NET freelancers can't touch. 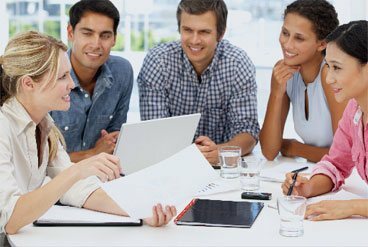 Plus, you get the trust and committed support of HDI which is absent big time with even the best freelancers and outsourcing agencies. 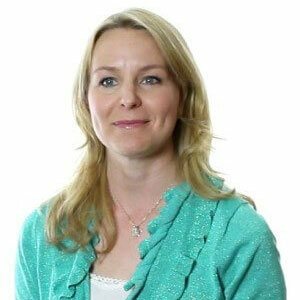 Our business experts assess how you operate before designing a plan for each of your new C#.NET Developers, programmers or other tech resources. Then we get them up to speed on your code base, internal systems, and team structure so that they can start contributing from day one. HDI provides all of the infrastructure your C#.NET Developers need to be successful, from the latest software, to a team of senior C#.NET Developers who support them as they grow and help achieve your business and technical goals. Hire Dedicated C#.NET Developers at very affordable cost from Hire Developers India (HDI). 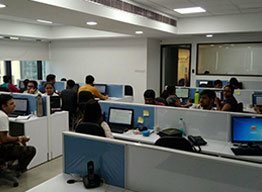 We know the importance of the relationship with our clients so we provide you with the option to select a single developer or more than one developer.If you don’t wish to spend on infrastructure for the only development of software or website then Hiring Expert C#.Net Developers from Hire Developers India (HDI) is the best option for you.You can Hire C#.NET Developers on an hourly, daily or monthly basis and our Offshore C#.NET Developers will work on your offshore projects from our office and we let them provide other resources to meet your requirements. Although you are working in a different time zone, our developers are very flexible and would reply you via online chat from Skype, Yahoo, Gtalk, MSN. We also have dedicated VOIP lines that will help you to be in touch with our dedicated Microsoft developers. Once you hire your own Expert C#.NET Developers and specification of your project will be understood, they will start working immediately on your project. You would also be assigned with Project Coordinator or Project Manager (without any additional cost on top of the C#.NET developer/s that you hire) who would manage your project and developers throughout the analysis, design, development and testing phases and beyond. 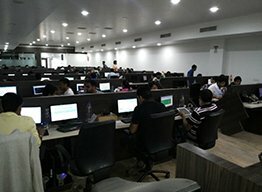 Why Hire C#.NET Developers from Hire Developers India(HDI)? Development is not just a work for us, it’s our living style. At Hire Developers India (HDI), your trust means everything to us. We have experienced C#.NET Developers that delivers incredible performancein developing creative final product. Proficient C#.NET Developers leads to good communication and good communication leads to an exact result. 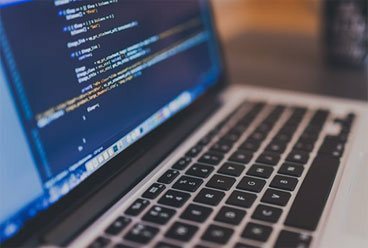 We never fail in striving to bring exact result for you and in providing the values to you with our proficient C#.NET Developers There is a good balance of skills, abilities, and aspirations. We process with advanced, diversified and certified technologies with deep domain expertise to meet the exact requirements of yours. Our C#.NET Developers are faster in acquiring the advance technologies and providing the best result for your requirements. Reap the benefits by choosing what's the best for your job. To solve your problems, our connoisseur developers have managed to build comprehensive products, which is something to crow about. C#.NET Developers are being driven by the quality approach and query handler procedure that would accomplish your requirements. You can get highly skillful online and offline solutions within the time frame and at fruitful rates. The prodigious work of our C#.NET Developers speaks for itself. To fulfil your requirements, our provisions provide devotional performance. Seeking for a seamless communication while hiring your business partner? To maintain the durability and enhancing the efficiency of your requirements that concludes an integral solution at your disposal, our C#.NET Developers are available through Skype, Hangouts, VOIP, direct phone lines/other conference calls. Experience in testing and maintaining software applications using C#. Understanding of Object Oriented Design principles. Experienced developers of database driven website creation. Creative, open-minded and able to add creativity to develop world-class projects. Experience connecting to SQL Server databases. Effective software analysis and design skills with knowledge of major browser capability and performance limitations. Having international work attitude and working with 100+ countries’ clients so far. Experience in developing and designing software applications using C#. Ability to join an existing project and quickly become productive. Complete SDLC Agile methodology follows up with the to-the-point drafting of PTC, WBS, Wireframes, SOW, and other related documentation required for the project analysis phase and data gathering. C#.NET Project Coordinators are passionate about building high-quality systems with software implementation and best practices while leading a team of developers. Easy and excellent communication skills. Be sufficient to take off in your business. Visit us today to Hire C#.NET Developer and be relaxed about your offshore development requirements!